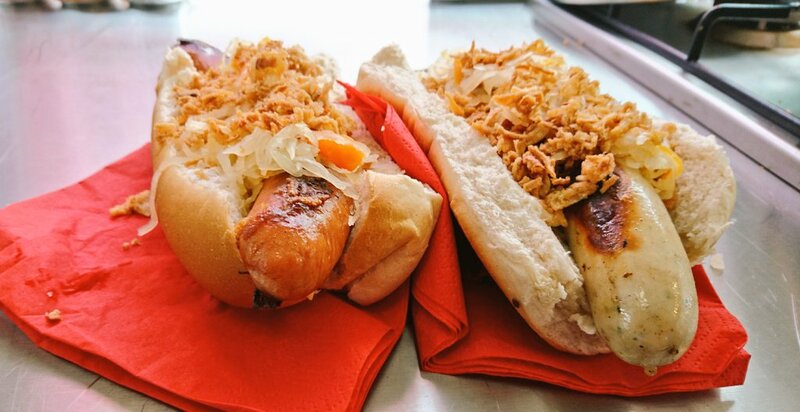 As far as we're concerned, Yümlaut are serving up the funnest, most authentic and sehr sehr delicious German street food in the country. 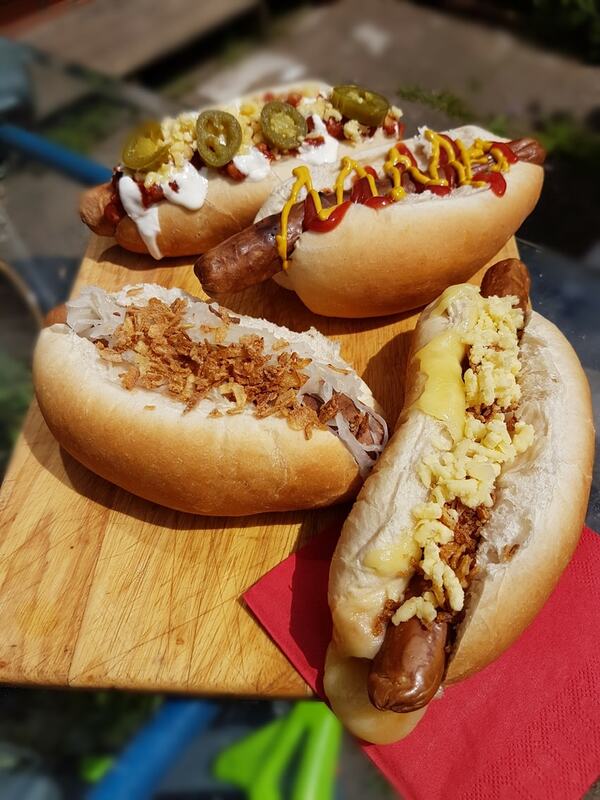 Their classic German sausage is an absolute staple at markets and events across the Midlands, where they've won numerous awards. 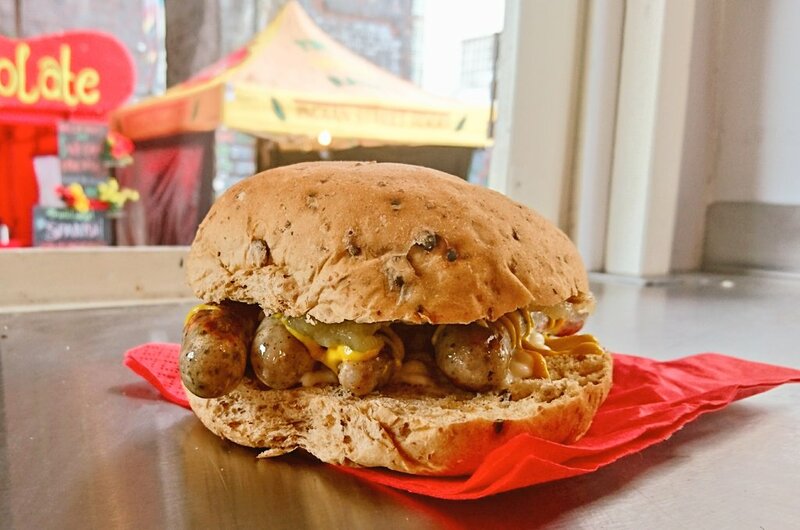 All of their Wurst is authentically made in Germany (meaning it's subject to stringent German purity laws) and combined with artisan local British produce to ensure the very highest quality. The van itself is beautiful, a 1980s Bedford CF 250, converted in-house to be able to serve lots of portions at serious speed. These guys can serve upwards of 150 sausages an hour! If you like the sound of Yümlaut and would like to invite them and their awesome red van to your next event, whether that’s a wedding, birthday, corporate event or festival, book them here on Feast It!